2006 Dutton-Goldfield Pinot Noir Dutton Ranch: Retail $50. A bit stewed right out of the bottle, which was surprising as the last two bottles of this were stellar. With a bit of time, that stewed-ness wore off a bit, exposing the rich dark fruit behind. Past the fruit, there is a fine balance with ample acidity and a strong finish. Very Good to Outstanding. 89-91 Points. 2007 Dutton-Goldfield Syrah Dutton Ranch Cherry Ridge Vineyard: Retail $45. Bing cherry and a touch of heat. Great acidity on the palate with a tartness that plays well. A little spice works its way in but it takes the back seat. On the palate good fruit but not over the top. Over time this softened and belied its vintage. This stops just short of getting a whoa. Outstanding. 90-92 Points. 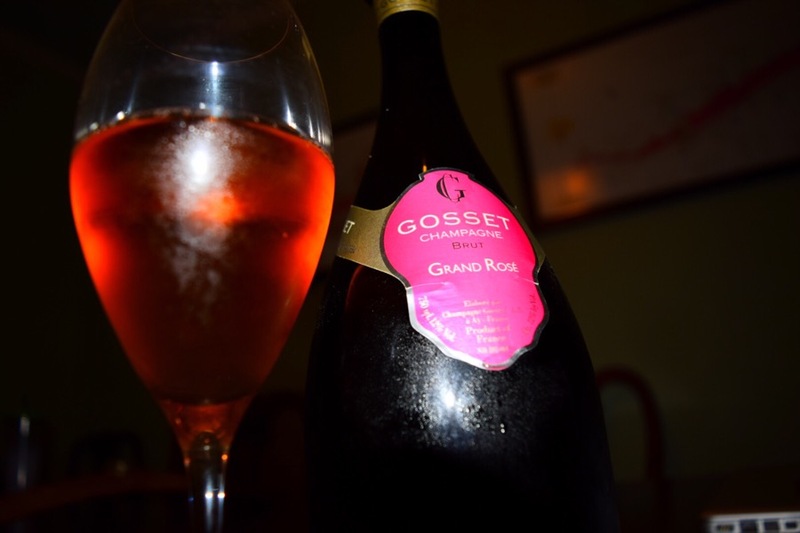 NV Gosset Champagne Grand Rosé Brut: Retail $80. These were on sale at the PLCB for a ridiculous $37 so I bought a bunch of bottles. We took this one to a BYOB restaurant with some friends and it was a hit–great fruit and deep flavors, this is every bit as good as the Grande Réserve, my all-time favorite non-vintage. Fantastic red berry fruit and a depth of secondary flavors that was remarkable. This is why I love champagne. Outstanding 92-94 Points. 2012 Purple Star Sauvignon Blanc: Retail $15. Not a “traditional” Sauvignon Blanc nose by any means. Sure, there is some tropical fruit but none of the sometimes overblown grassiness or cat pee. On the palate, one of the richer Sauvignon Blancs I have had recently with guava and lemon. A little green apple curiously sneaks in at the finish. And for the price? No brainer. Very Good. 88-90 Points. 2001 Chateau St. Jean Cabernet Sauvignon Cinq Cépages: Retail $65. Maybe I waited too long but this is still oh so good. Rather dark, surprisingly, with faded red berry fruit and earth. On the palate certainly old world in style and the fruit is faded but still evident. The acidity has taken over, though, and is a bit one note. Still? Very Good. 88-90 Points. 2013 Lioco Chardonnay Sonoma County: Retail $20. Composite stopper, which I hate. Just go to Stelvin already. Surprisingly some color in the glass with a pleasant lemon curd predominant. On the palate, plenty of acidity and a hint of fruit, but not much depth or finish. Good to Very Good. 85-87 Points. 2013 Domaine Maby Tavel Rosé Prima Donna: Retail $20. Grenache Noir (55%) et Cinsault (45%). Basically, if I see “Tavel” on the label, I will buy it–Tavel rosés are some of the best in the world and this, on sale for $10, was an easy sell. Strawberry, maraschino cherry, and watermelon on the nose. Fruit and acidity from the jump on the palate. As I figured, this is a solid effort and is likely not going anywhere for at least another couple of years. At this price? Buy, buy, buy. Very Good. 88-90 Points. 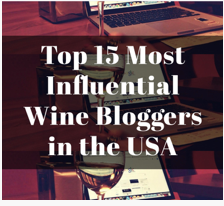 As I started writing the WotW portion of this post, the only issue was to try to determine how many times I had chosen a Gosset as WotW over the close to four years I have been writing this blog. I was honestly shocked to learn that not only has neither non-vintage Gosset been selected as Wine of the Week, but after an hour of searching, I did not find any evidence that I had even reviewed either wine before. Well, consider that anomaly rectified. This entry was posted in Cabernet Sauvignon, Champagne, Chardonnay, Cinsault/Cinsaut, Grenache, Pinot Noir, Rosé, Sauvignon Blanc, Syrah, Wine. Bookmark the permalink.